2009 Bierzo Cuatro Pasos Mencia | Wine Splash! We LOVE the wine label! Eye catching paw prints in shiny neon red! We LOVE that this wine was blended by Eric Solomon at a Martin Codax property in Spain! We LOVE that the wine was aged in French & American Oak (2 months) and that Robert Parkers Wine Advocate gave it 90pts! All in all, this should be a wonderful wine and at $11 a bottle, you can’t go wrong. The good thing is that this wine wasn’t wrong, but it just wasn’t right. It’s not corked so I am assuming that this is what it is. On sight, it is a nice garnet color and very deep. On the nose, red berry, black cherry, red licorice, and spices jump from the glass! We really felt we found another winner! On the palate, this wine was medium to full bodied with soft, round tannins. Flavors of red berries upfront with red licorice, and some pencil lead. Lots of earthiness, alcohol, and quite a short finish. We had this wine with grilled pork chops with cherry barbeque sauce. Probably a very good pairing for this wine. Other good choices may be medium to strong cheeses, grilled barbeque chicken, pasta with tomato based sauces, pizza, grilled portofino mushroom, or a good burger. This wine was a decent wine for the price. Better and more interesting than Barefoot or Fetzer. It just didn’t seem like all these flavor profiles gelled together. I honestly think the alcohol level was too high for the softer flavor profile and the alcohol took over. We also think we expected too much from the famous winemaker, region, and grape variety and it fell a bit short. We have only had a few other Mencia wines but those were a bit nicer, brighter, and not as muddy as this one. 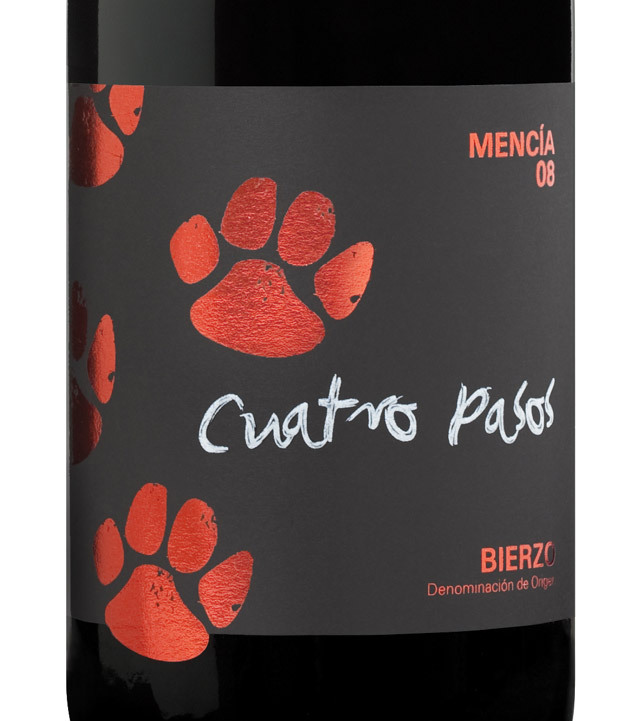 We give this 2009 Bierzo Cuatro Pasos Mencia wine an 86 point score. We like earthy wines but this was a bit bland and not our style. If you have a 2009 vintage, I would drink this before 2014. WineSplashing! !